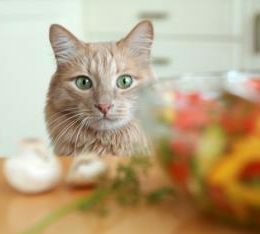 Can a cat become vegetarian? There are various reasons why a person might decide to become a vegetarian, and at one point or another, someone who has made that transition may wonder: what about their pets? Should a cat become vegetarian, if his owner decides to exclude meat from his or her own diet? Is it even possible for a cat to be a vegetarian?